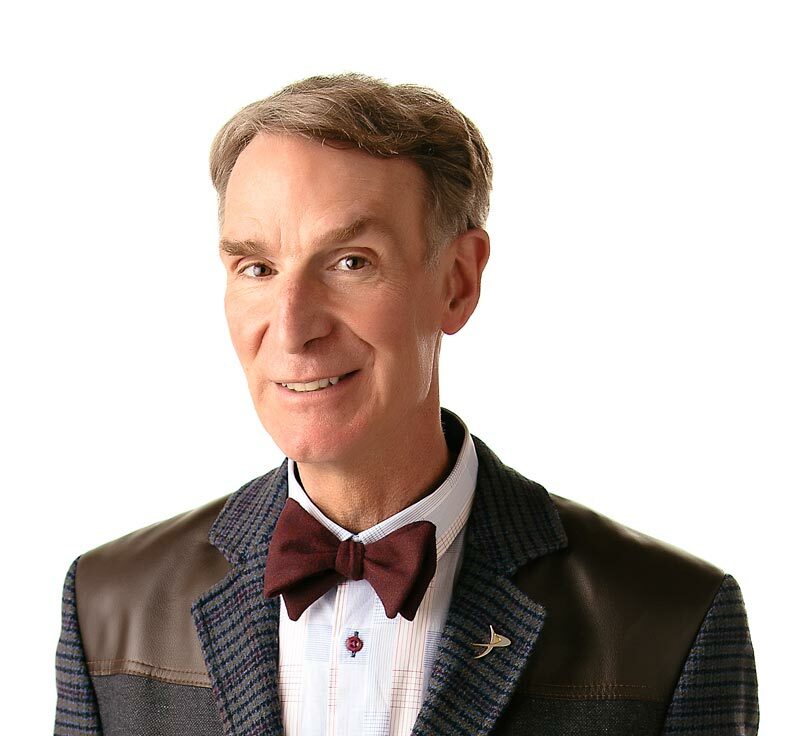 Look no further… Bill Nye is on the ball – the eyeball. For their small size, your eyes do an important job. By working with your brain, your eyes can tell the difference between thousands of different colors. They can follow a fast-moving hockey puck across the ice. They are even sending messages to your brain about what you’re reading right now. Eyes work a lot like a camera. They take in light, focus light, and make images. With help from the brain, your eyes help understand the world around you. Light bouncing into your eye passes through an opening called the pupil. If you look in the mirror, your pupil is the black area in the middle of your eye. The pupil can open or close, depending on the brightness of the light. After passing the pupil, the light is focused onto the back of your eye by the lens, a thin layer of cells. On the back of your eye are special cells called rods and cones that are sensitive to light. These cells send electrical messages to your brain through your big optic nerves. Having two eyes lets us look at the same features from two slightly different angles. We can see how far away things are. Then it’s up to your brain to decipher what exactly you’re looking at. The “eyes” have it — Bill Nye’s “Eyeball” episode is outta site! The brain makes sense out of the messages from our eyes. Some clams have a row of simple eyes around their shells? Each of your eyes has about 120,000,000 rod cells and 6,000,000 cone cells? Fly eyes are made of hundreds of separate little side-by-side lenses? “Eyes” by Aleksander Jedrosz. Published by Troll Associates, 1992. “The Eye and Seeing” by Steve Parker. Published by Franklin Watts, 1989.